Did you know that some life insurance companies offer better rate classes to truck drivers than others? Further, did you know that choosing from the top no medical exam companies might save you a ton of money and time? At TermLife2Go, we work with dozens of top rated best life insurance companies. We can help you find the best rates on life insurance for truck drivers. Give us a call today to see what we can do for you! Every day you’re on the road working hard to provide for your loved ones—but what’s going to happen when you’re gone? The best way to show those dearest to you just how important they are is by making some provisions even after you’re gone. This could be in the form of basic life insurance that covers your funeral costs or it could be a more extensive plan that supplements your family’s monthly income. Either way, purchasing life insurance is important for truck drivers like you. What’s the difference between applying for life insurance as a truck driver or as anyone else? Whenever you apply for life insurance, the life insurance company will consider every aspect of your life, including your profession (Top 10 Dangerous Jobs Life Insurance Companies Hate). As a truck driver, you encounter different daily risks than say, a contractor or a restaurant owner. The life insurance agent will calculate these risk factors and then issue you a life insurance policy accordingly. Will I have to pay a higher premium because I’m a truck driver? Let’s be honest, driving a truck can be a dangerous job. You’re on the road day in a day out, increasing your chances of being in a car accident. Some life insurance providers may count this against you, and increase your rate, but others may not. They will also look at your driving record and possibly your auto insurance rate to determine how safely you drive. This is why it is so important that as a truck driver, you know which carrier is going to give folks like yourself the very best rate! In other words, you need to apply with the most truck driver friendly life insurance company available. 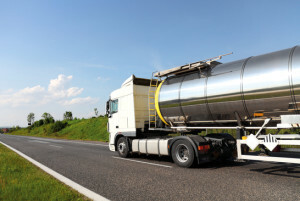 Further, some truck drivers haul hazardous materials, which increase the risk. Others are over the road truck drivers versus local drivers who are mainly driving 9-5. There are inherent risks that a truck driver takes on and that life insurance companies may inquire into. Our job is to align you with the best company based on your specific need and each company’s unique niche. Long hours, limiting their time to enough exercise during the day. Eat while one the road, which makes eating healthy particularly difficult. And lastly, most truck drivers deal with an enormous amount of stress! What Types of Life Insurance Policies are BEST for Truck Drivers? Determining which type of life insurance will be best for you will depend on a few factors, mainly the amount of coverage you are looking for and you current health. For those seeking a policy that will cover more than just burial costs, a traditional term life insurance policy will generally be the best and most affordable option. When applying for a traditional term life insurance policy, if you’re working with an agency like ours, you’ll generally be given two different options to consider, those that require a medical exam and those that do not. Now we’ve actually dedicated an entire article on which is better Exam vs No Medical Exam Life Insurance. We would definitely encourage you to read the article but one thing that we did leave out in our discussion on which one is best is…. For most truck drivers we know… trying to get them to schedule a day and time on when they will be able to take a medical exam is simply impossible! That is why no medical exam life insurance is ideal for most truckers. Most truck drivers we know don’t even know what part of the country they will be in next week not to mention what city or state! Which is why, for most truck drivers, the best solution out there for them to secure a traditional term life insurance policy that will not only protect their family in the event of an accident but also in the event of a heart attack is… a No Medical Exam Life insurance policy. The trick then becomes, knowing which company is going to offer you the best rate! Now it should be noted that….A No Medical Exam Term Life insurance policy isn’t for everyone. May have a more difficult time qualifying for a No Medical Exam Life Insurance policy than they would qualifying for a policy that does require a medical exam. This is because both no medical exam life insurance and coverage that will require a medical exam will both order what is called a prescription medication database check. Meaning that the insurance company will request access to your prescription medication history, and if you’ve been prescribed a questionable medication, and they don’t have any additional information such as a medical exam result, most insurance companies will deny someone a No Medical Exam Policy when had the client actually taken a medical exam, they may have been approved. In addition to life insurance, disability insurance has to rank up there as one of the more important insurances a trucker needs. If you are out of work due to a disability you are not making money. And this is particularly true for self-employed truckers. But even if you have some sort of disability insurance policy form your employer, it usually does not provide enough coverage or the benefit period is too short. The solution is to consider individual disability insurance. Individual disability insurance is available in 3 flavors: accident only disability insurance, short term disability insurance and long term disability insurance. Of these three options, long term disability insurance for truck drivers is going to be the most beneficial. Long term disability insurance provides a monthly income benefit upon completion of an elimination period.The elimination period can be as short as 60 days before your monthly benefit kicks in, to as far out as 365 days. The longer your elimination period, the lower your disability insurance premium will be. Does all this sound confusing? That is what we’re here for. We will help point you to the most affordable life insurance and disability insurance policies available. Simply give us a call today and see what we can do for you! We are not a life insurance provider, nor do we work for any specific life insurance company. We are an independent organization with extensive knowledge of the life insurance industry. This allows us to give you solid, customized advice without any biased towards a specific life insurance company. If you would like to know more about how TermLife2Go has helped many truck drivers like you to find the best life insurance policy possible, then call us today for a free consultation. Thank you for reading our article, Exam and No Medical Exam Life Insurance for Truck Drivers. Please leave any questions or comments below. Next Post: InboxDollars Review…. Can I Really Make Money With It?